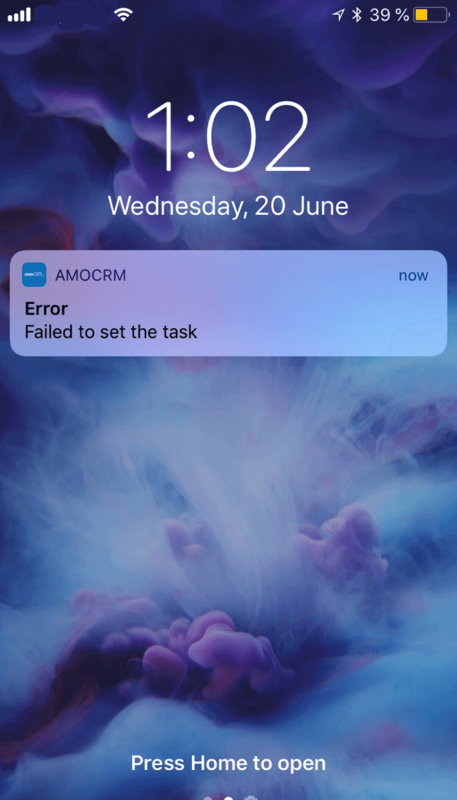 To publish notifications, a public API is implemented, accessed through calling the corresponding methods of the global AMOCRM object. When you call the method, you need to transfer an object with a description of the notification. The method is intended for calling a pop-up notification, which will be displayed to the user only in the interface and will not be replicated on other delivery channels. The method displays an error notification in the interface of the account, and the message will not be transmitted via other delivery channels. 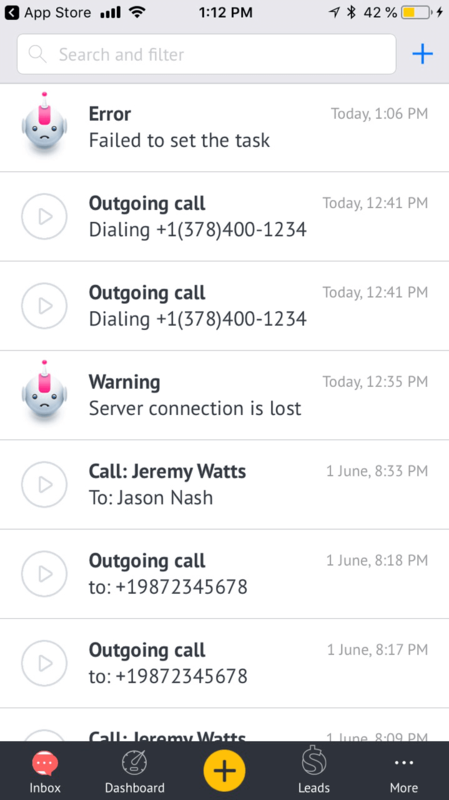 text: "Connection to the server is lost"
The method allows you to display a pop-up notification of a call or an error. If you use this message, it will be displayed only in the interface and will not be transmitted through other channels. text: "Dialing the number +19872345678"
text: "Error working with the widget"
The method allows you to add an error notification to the notification center. The message will be sent to all active channels in the user's account. An email notification about the error. Notification that has come to the mobile application. 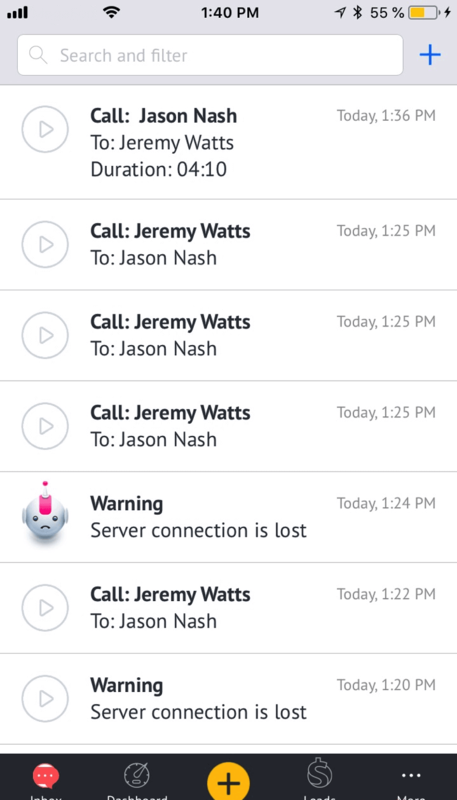 The Notification Center API allows you to display an incoming call message. The notification will be transmitted over all active delivery channels. text Yes The text message that will be displayed in the notification. from No The line in which the initiator of the incoming call is specified. Phone number - if the contact is not found in your account. Contact name - if the call came from an existing contact in your account. to No Manager name or extension number of the subscriber who received the incoming call. element No An object describing the entity to which the transition will occur when clicking on the pop-up call notification. 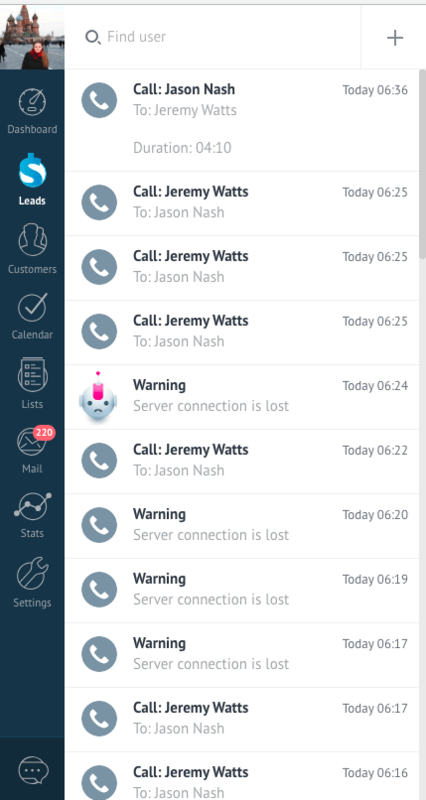 Notification of the call in the notification center and in the mobile application.